That is the correct way to celebrate after tricking a car into driving off the road by making it think it was about to run headfirst into another automobile. 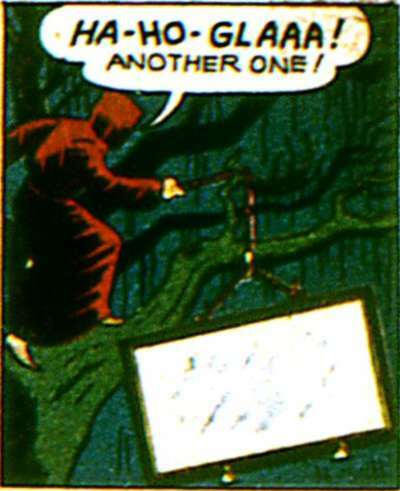 Seriously, that's a super-clever scheme, grim reaper. I'm not even going to question your fascinatingly spelled cheer. Yep, just like in 'The Terror at Wolf's Head Knoll', one of my favorite episodes of The Shadow.